Founded in 1989, Red Maple Land Services, LLC was built on a comprehensive approach to landscaping. Offering original designs, which incorporate plantings, hardscape and drainage, all in one package. Red Maple has installed over 25,000 trees and shrubs throughout the Capital District in the last 30 years. As we approach our silver anniversary, Red Maple Land Services are proud to be ICPI Certified Paver Installers, as well as, NCMA Certified Segmented Retaining Wall Installers. 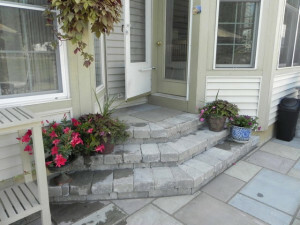 With a A+ rating from the Better Business Bureau, Red Maple designs and installs complete landscapes, as well as, patios, sidewalks and retaining walls. Red Maple offers a phased in approach, which appeals to many clients in today’s economic climate. Flexibility and commitment are the two qualities that enable Red Maple to continue growing a strong client base. Client referrals are the most common source for Red Maple projects. Perhaps our most unique asset is that upon completion of your project, Red Maple offers complete property maintenance programs to protect and continually enhance your investment. Services available include: turf care, bed maintenance, tree and shrub care, pruning, trimming, drainage and erosion control. Red Maple Land Services, LLC is a licensed New York State Be Green Business, offering complete organic fertilization programs. Winter is not the end of the season for Red Maple, we offer commercial and residential snow and ice management, firewood and dormant pruning programs. 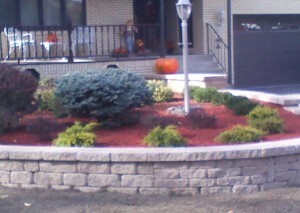 Please consider Red Maple Land Services, LLC for your landscaping needs. As proud members of the New York State Nursery / Landscape Association and the Bethlehem Chamber of Commerce, we are committed to continually improving and maintaining the Capital District’s residential and commercial properties.